In 1965, on a small island in the South Pacific, a group of astronomers gather to witness the passing of a comet, but when a young boy dies during a meteor shower, the lives of the scientists and their loved ones change in subtle yet profound ways. Denise struggles for respect in her professional life, married Eli becomes increasingly attracted to Denise and her quixotic mind, and young Lydia attempts to escape the scientists' long-casting shadows. 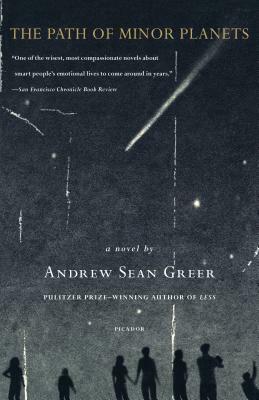 Andrew Sean Greer's remarkable and sweeping first novel, The Path of Minor Planets, is an exploration of chances taken and lost, of love found and broken, and of time's subtle gravitational pull on the lives of everyday and extraordinary people.